The place was exactly as we remembered it: spacious villas, gorgeous detailing on everything, animals roaming around. Cintai is unlike any other resort I’ve had a chance to visit. It’s strong selling point is its Balinese theme. 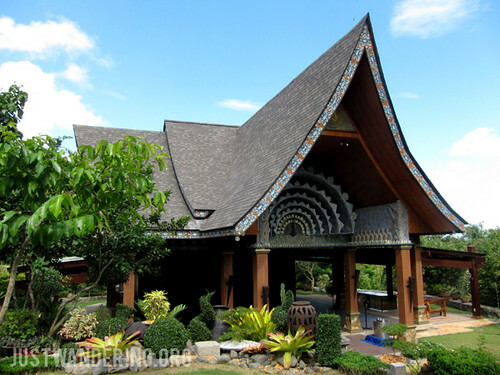 It’s not like other places that has a token Bali-inspired building with small Balinese trinkets — Cintai is full-on Bali. If you visit their website and view the pictures, it’s exactly as it appears there, and more. 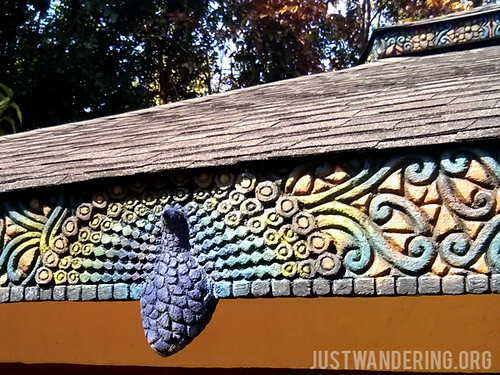 The details are simply astounding, and it’s not just in the exterior of the buildings. 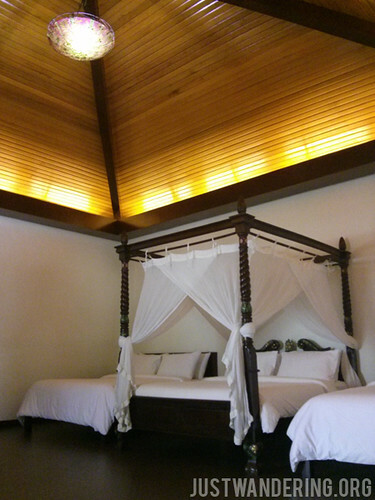 Even inside the villas, the theme continues, specially in the bathroom with the Indonesian wood carvings and cabinets. The two times I went there, my group and I were lucky enough to have the place practically to ourselves. 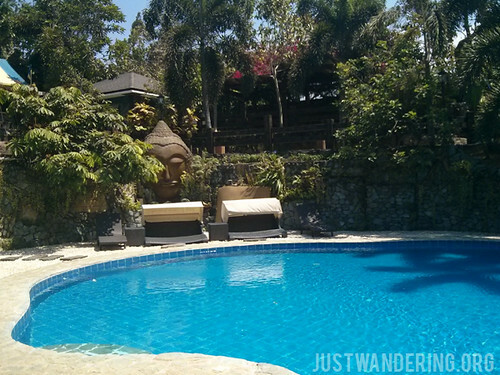 The property is huge though, so even if there are ten villas occupied, you’d still be able to find a quiet spot. There are even four swimming pools, so you don’t have to share if you’re feeling anti-social. But if you’re feeling really anti-social, you can go for their Executive villa. It’s a huge villa that can house up to six adults, with provisions for up to three or four more. It has its own dining area (you can have your meals served there), bar (with your own bartender), and a jacuzzi. It’s set quite a distance from the other villas, so you feel disconnected from everybody. Not surprisingly, Cintai Corito’s Garden is a popular place for pre-nuptial pictorials (they even have a package specially for such), and even weddings. They have two pavilions that can hold up to 100 or so guests. 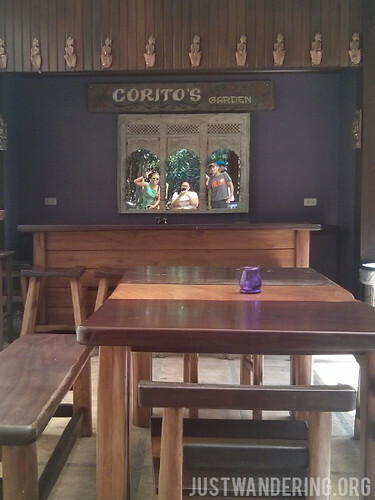 Cintai Corito’s Garden is perfect if you’re looking for a quiet, relaxing break. There are no television in the room, no wi-fi either. There is however, a veranda with comfortable wooden seats where you can sit, have a snack, and share stories. If you can’t stand the quiet anymore, you can reserve a slot in their entertainment room, where you can watch TV or movies. One of the big difference from our first visit was the food. In our previous visit, the food offering was a variety of Asian dishes from around the region, with of course, a huge focus on Indonesian dishes: nasi goreng, mee goreng, rendang. We were looking forward to having the same dishes, but unfortunately, the previous chef has left. The food wasn’t terrible — it was quite good actually, but it was definitely Pinoy now. Nothing against Filipino food, but it would have been great to have a taste of Indonesia to go with the theme. Cintai Corito’s Garden is located in Balete, Batangas, about 2.5 hour’s drive from Manila. 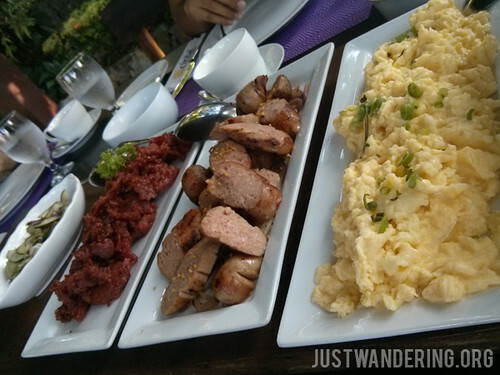 Rates for two start at Php 6,000, including breakfast. 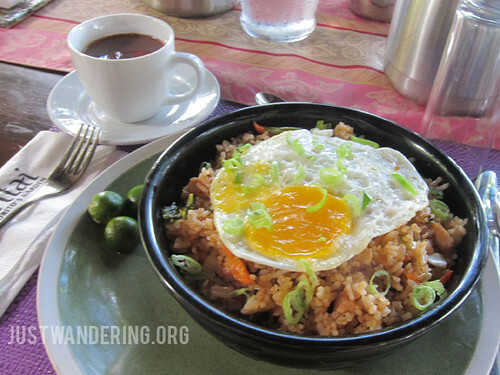 Day tour rate is Php 1,650 for adults, which includes lunch, snacks, and use of the facilities.